50 years ago, one movie changed all movies forever. The first movie premiering at the 2018 Cannes Film Festival has been revealed! Cannes has announced they will host the world premiere of an unseen, newly restored 70mm print of Stanley Kubrick’s groundbreaking science fiction epic, 2001: A Space Odyssey. The screening will be introduced by filmmaker Christopher Nolan, who will be attending the Festival de Cannes for the first time. Nolan will also participate in a Cannes Masterclass, set for Sunday, May 13th, in which he'll discuss Kubrick's films in addition to his own. After this event, Warner Bros will re-release the new 70mm print of 2001: A Space Odyssey in select US theatres starting on May 18th. The Ultimate Trip. Christopher Nolan's statement: "One of my earliest memories of cinema is seeing Stanley Kubrick’s 2001: A Space Odyssey, in 70mm, at the Leicester Square Theatre in London with my father. The opportunity to be involved in recreating that experience for a new generation, and of introducing our new unrestored 70mm print of Kubrick’s masterpiece in all its analogue glory at the Festival de Cannes is an honour and a privilege." Thierry Frémaux's statement: "Stanley Kubrick in the Official Selection! 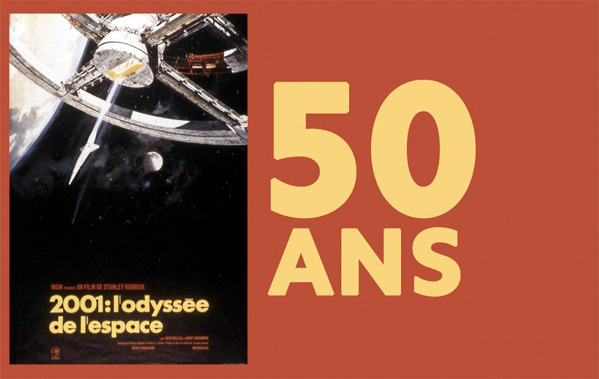 It is a great honour for the Festival de Cannes to host the 50th anniversary celebration of one of the most extraordinary films in the history of cinema. And to welcome to the Festival for the first time Christopher Nolan, whose presence creates a precious bond between past and present, without which cinema would have no history." Indeed. So far, so good, Cannes. Let's see what else you've got up your sleeve for 2018. Originally released in 70mm Cinerama roadshow format on April 3rd, 1968, "the film ignited the imaginations of critics and audiences alike and its impact continues to resonate to this day." 2001 has already been showing in 70mm at places like the Museum of the Moving Image in NYC. But this is a brand new, fresh 70mm print and it should look better than ever. Kubrick's 2001 starred Keir Dullea, Gary Lockwood, William Sylvester, Daniel Richter, Leonard Rossiter, Margaret Tyzack, Robert Beatty, Sean Sullivan, and Douglas Rain as the voice of HAL 9000. It received four Oscar nominations, including Best Director, but only won Best Special Visual Effects.